So why choose custom? Here are just a few reasons why a custom area rug might be the best choice for you. Ready-made rugs come in standard sizes. 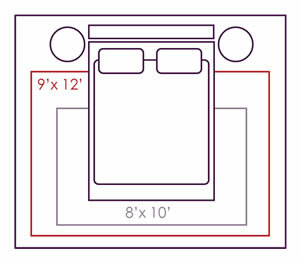 What if your room size calls for something different? Choosing a custom area rug means you can get the perfect length and width to fit your particular space. With more material selections, you can pull from an assortment of options to meet your lifestyle needs. A customized rug enables you to pull in colors from around your space. Try incorporating colors from the walls or curtains to create more visual cohesion in your room. Then you can mix and match with a rug border for the perfect combination. Say you’re working in a space with an existing rug or you wish to place a rug on top of your wall to wall carpet. Customizing your rug allows for greater options to get that perfect match to your current flooring, instead of settling for something that “almost” matches. 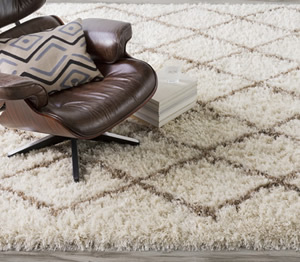 Ultimately, a custom area rug is just that: custom. You’ll likely never meet someone else with the same piece. No two homes are the same, so why should two rugs be? This is the time to get the creative juices flowing and have some fun trying out borders and materials. With a custom rug, you have the flexibility to experiment with fun color combinations to fit your unique style and budget. Ready to get started? Browse theperfectrug.com for your material first. Once you’ve decided on a material that will work well for your space, look through colors and patterns, mixing and matching until you find the perfect combination. Remember that you can order free samples to help with your decision. Then look through border options, keeping in mind the colors in your room and the colors of the rug. Need some help? Email customerservice@theperfectrug.com for assistance or request a design consultation.